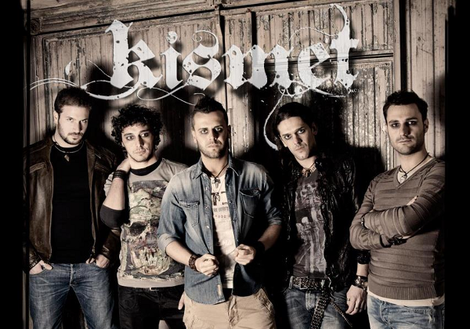 KISMET is an Italian alternative rock band formed in the late 90s, and in 2001 the band recorded the debut EP "Rooms Of Lie", influenced by the musical "way" and the artistic experiences of Albert Eno (vocal), Crivez (guitar), Mirko Estevez (guitar), R.D. Penot (drums) and Omar Pasello (bass). The band received many positive reviews from presses, and a lot of credits in other important webzines and fanzines. Thanks to this great feedback the band starts a very intense live activity in many important Italian club and local festivals. After the debut EP, KISMET has released the second EP "Trudging Down Your Soul" (2007) which was recorded at the NFRS studio with the sound engineer Ugo Bolzoni, and the result was a grunge rock sound with some psychedelic influences and the lyrics running through a metaphoric 'journey of life'. 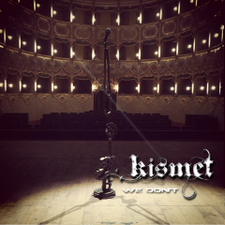 In 2013 KISMET released a 4 track EP "We Don't", including a sigle "We Don't" (2009). Now the band is working on a full length album with more rock/heavy oriented songs. They have played at some festivals in Italy and Europe such as Postbloo Festival (Greece) and Bikerfest Trecentallora (supporting Pino Scotto). In a couple of past years, they went on tour in the US and UK.